Some say singing is a natural talent, but if you ask most singers, they'll tell you that it is a skill developed over time with a lot of work. 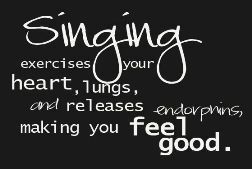 Singing is an art, not a science. There are some things that can be explained using scientific terminology, but in the end, it is a form of expression, and techniques that work for one person, may not work for another. 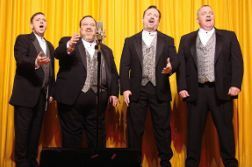 People approach singing and learning in different ways. I tend to prefer the engineering details, and you're certain to notice a lot of details in these pages, but some people prefer imagery or metaphors. If you don't find what you need here, please be assured that there are other approaches available. Asking questions is a great place to start, and a great place to go from there. Try some things. Ask some questions. If you're not "getting it," just move on. Many times I have had the moments when I suddenly understood what someone was trying to tell me in different ways for years. Singing is an art, and you are an artist. Keep searching for inspiration. And another from Broadway actress Felicia Ricci. So, here are some things you can try. Click on one of the topic lines just below, and then scroll up and down those pages to find something interesting. The topics are separated primarily to make the web pages more manageable, and you don't have to go through them in order. There are some items that refer to others, but for the most part, each item is self-contained. There are plenty of other resources out there that you can try. Getting different perspectives helps you to find a sound that you like and to develop your own voice. If you want to get really technical, check out the articles by "The Voice Teacher," David Jones here. A good book, but an excellent CD with vocal exercises that helped me extend my range, which is also great for warm ups and regular practice. 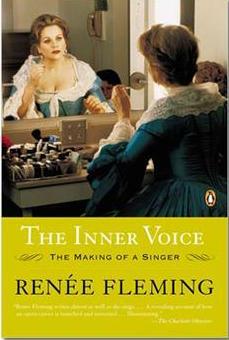 She describes the book as the autobiography of her voice. 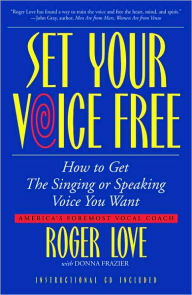 This is a good book if you've every wondered what it's like to sing at the professional level.